It’s always a challenge for me to drink enough water in the day to stay hydrated. 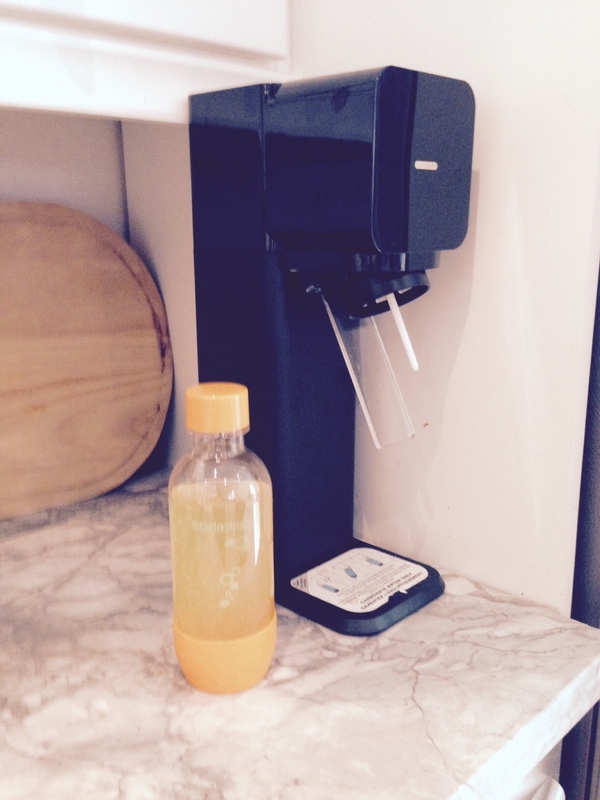 But having the SodaStream on our counter has made all the difference. 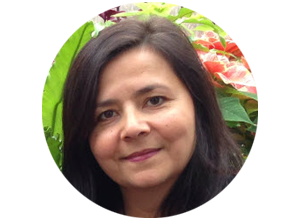 It was after seeing them in Canadian Tire one day, and got curious that I did some research and really liked what I discovered. 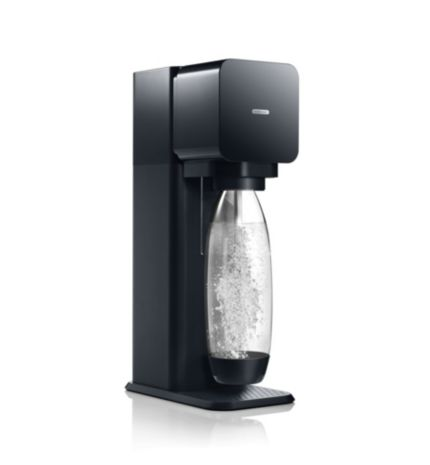 The SodaStream uses a CO2 cylinder to change regular water into sparkling water. It takes seconds to add the carbonation to the water, so it’s incredibly convenient. 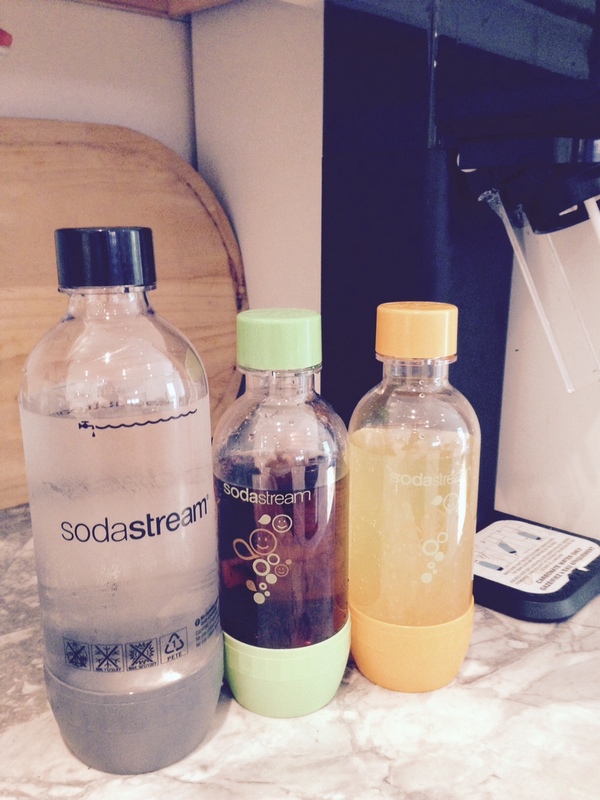 The SodaStream comes with a reusable 1L bottle, and I end up drinking at least a whole bottle by the end of the day. Just fill the bottle with water. I use filtered water from my refrigerator. It is so convenient to put on my counter top. The design is sleek and modern so fits well with my decor. And there is no electricity required, so I don’t need to put it close to an outlet. I enjoy just plain carbonated water, but if you want flavoured sparkling water all you need is the syrup mixes. 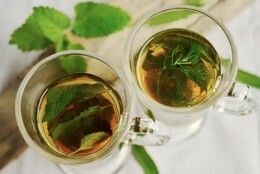 They come in some great flavours, like your classic soda flavours, or Pina Colada, and fresh lemonade. I like to adjust the flavours to suit my taste. The smaller sizes are perfect for when I’m craving a specific flavour, and convenient to take with me when I go out. I love the diet cola and the orange. SodaStream has recently released “Free Flavours.” They don’t contain any artificial sweeteners, flavours, colours, or preservatives. And they contain way fewer calories than a regular soft drink. 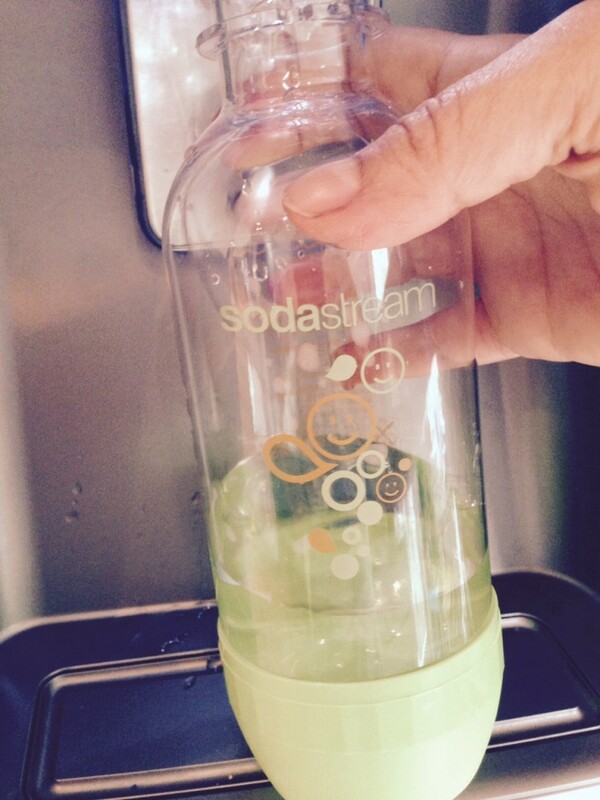 Most soft drinks contain over 100 calories, even the diet ones, but SodaStream’s Free syrups contain less than 50 calories in the same serving. In addition to helping me drink more water, I love the fact that by using the SodaStream I’ve reduced the amount of plastic bottles I’m consuming. I no longer buy carbonated water at the grocery store and even when I’m out running errands I can take the bottle with me. So I’m staying hydrated, and am not tempted to buy water at the store. And SodaStream has a super easy system for exchanging your CO2 cylinders. All we have to do is take our empty cylinder back to Canadian Tire (or any other SodaStream distributer) and they’ll exchange ours for one that has already been refilled. 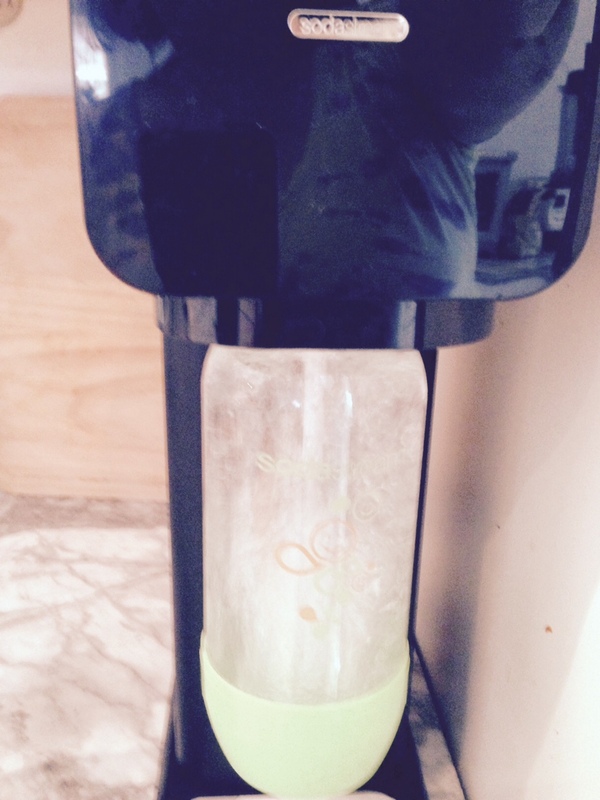 The SodaStream is helping me drink more water, be more eco friendly, and in the long run will help our family save money. All-in-all one of my favourite purchases this year.